British Columbia has run a successful Assayers Certification Program since 1895. In that time It has attained an enviable domestic and international reputation within the mining, mineral exploration, analytical chemistry, and securities industries. The purpose of the Program is to provide for the training, examination and certification of assayers. This ensures that assayers practicing in the province meet the high standards of competency required by the mining and securities industries and that skilled and qualified assayers are available in British Columbia as well as other jurisdictions. The Board of Examiners is pleased to publish the Register of Certified Assayers in the Province of British Columbia. Since the Program was introduced, over 600 assayers have been certified. Contact us for more information. The Assayers Certification Program is authorized in British Columbia’s Ministry of Energy, Mines and Petroleum Resources Act. It is unique because B.C. is the only mining jurisdiction in the world that requires assayers to pass an examination before being certified. Candidates are examined by an independent Board of Examiners drawn from educators and industry. Those who successfully fulfill the rigorous requirements of the exam are granted a Certificate of Qualification by the Province of British Columbia. 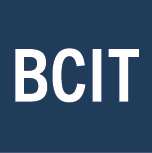 The Assayer Certification Training Program was established by the British Columbia Institute of Technology (BCIT) in 1995 to meet the needs of the mining industry for advanced training in analysis. The program involves up to two years of combined classroom work and practical experience in a commercial laboratory. The program teaches proper assaying techniques and methods used in the writing of the B.C. assayers exam. This will enable people from all over B.C. to take the course in their home town with minimal trips to Vancouver for the examinations. Graduates of the program are eligible to write the exam for Provincial Certification.